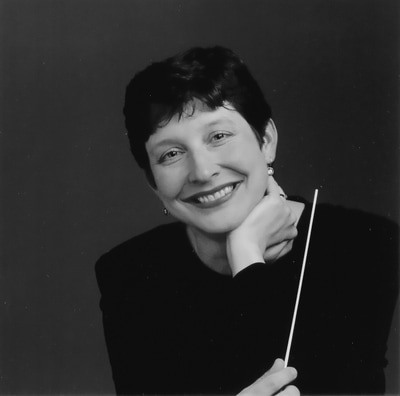 In May 1995, Conductor Kathy Saltzman Romey was named the Minnesota Chorale's fifth artistic director, after serving as associate artistic director of the Minnesota Chorale from 1990 to 1994 and as acting director during the 1994-95 season. She has prepared the Chorale for performances with both the Minnesota Orchestra and The Saint Paul Chamber Orchestra under the baton of such conductors as Edo de Waart, Eduardo Mata, Roger Norrington, Christopher Hogwood, Hugh Wolff, John Harbison, Helmuth Rilling, Bobby McFerrin, Eiji Oue, and Robert Shaw. She also developed and coordinates Bridges, the Chorale's nationally recognized community engagement program. 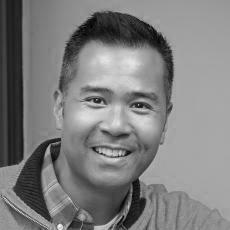 ​Romey graduated with a Bachelor of Arts degree in music from the University of Oregon. She continued her studies in Frankfurt, Germany under internationally known Bach scholar and conductor Helmuth Rilling, receiving an artistic degree in choral conducting from the Frankfurt State Conservatory of Music in 1984. During her five years in Germany, she assisted Dr. Rilling at the Memorial Church in Stuttgart, was a member of Rilling's professional choir, the Gaechinger Kantorei, and worked on the staff of the International Bach Academy. 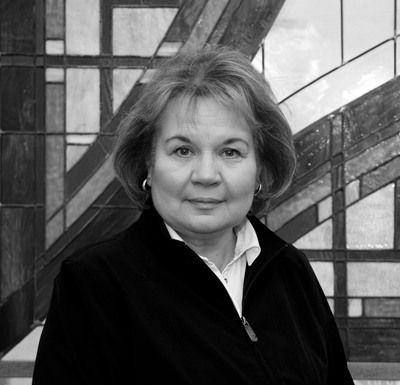 Since 1992, Romey has been a member of the faculty at the University of Minnesota, where she serves as director of choral activities and oversees the graduate program in choral conducting and conducts choirs. 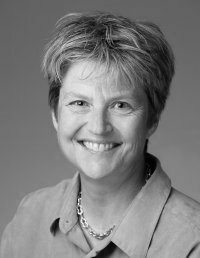 From 1985-1992, she was director of choral activities at Macalester College, conducting the Macalester Concert Choir and the Macalester Festival Chorale. She is active regionally and nationally as a guest conductor and clinician at music conferences and festivals. Patrice taught at Field School in South Minneapolis for 24 of her 31 years with the Minneapolis Public Schools. She created a virtual conservatory of music at Field School, where she also founded the Field Madrigal Singers, a children's choir which performs at civic events, fundraisers, and professional conferences. Pat earned a B.F.A. from Michigan State University and gained certification in Kodály and Orff music pedagogy from the University of St. Thomas. She was the director of the Twin Cities honor choir for the National Association for Music Education, and has conducted at Minnesota ACDA and MMEA conferences. Pat helped found the Minnesota Youth Choir Consortium, and has served on many arts boards, including the Minnesota Humanities Commission and the Minneapolis Arts Commission. She sings with Mundus, the contemporary and world music ensemble at the Basilica of St. Mary. 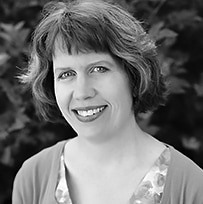 Barbara is an active vocal coach and music director in the Twin Cities area. She has worked with various opera companies including Canadian Opera, Minnesota Opera, New Orleans Opera, Opera Banff, Berkshire Opera, Des Moines Metro Opera, Kentucky Opera, as well as the University of Minnesota Opera and University of North Texas Opera programs. She has served as a vocal coach for the Minnesota Opera's Resident Artist program and currently is on the music staff of the Wesley Balk Institute. She has also collaborated as music director in the highly imaginative productions of Mozart's operas at Theatre de la Jeune Lune in Minneapolis. She holds a master's degree in piano performance from the University of Michigan in Ann Arbor. Cindy is thrilled to be working with the young people of Prelude. She is also the Director of Children's Choirs at Bethlehem Covenant Church and Co-Director of the Cherub Choirs at Mt. Olivet Lutheran Church, both in Minneapolis. She has a degree in music education and has taken several graduate courses in music education, church music, and other seminary studies. She is a Certified Director of Young Singers from the Choristers Guild Institute. She is a current member of the American Choral Directors Association and past president and 20+ year board member of the Twin Cities Chapter of the Choristers Guild. 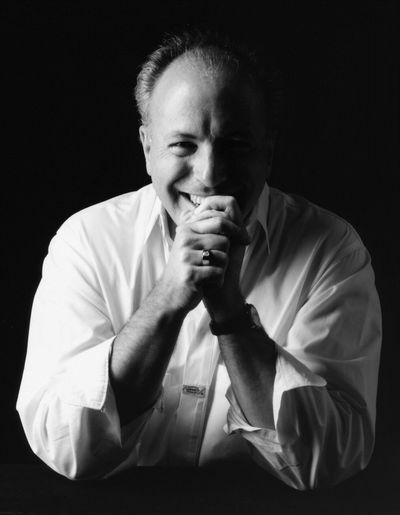 Jerry is known throughout the U.S. for his work as a conductor, pianist, choral clinician, and arranger. He worked for twenty-three seasons with the Dale Warland Singers, as associate conductor, director of special projects and music education, pianist, singer and arranger. Rubino's conducting and teaching credits include honors choirs in Australia, Taiwan, Hawaii, and Europe; the Los Angeles Master Chorale and the California State Summer Arts Workshops; and Northwestern, Augsburg and Carleton colleges in Minnesota. His music editing credits include extensive work with Hal Leonard Corp. and Oxford University Press. An active member of the American Choral Directors Association, Chorus America, and ASCAP, he serves as Minister of Music at Spirit of Hope United Methodist Church in Golden Valley. Rubino holds degrees in piano, music education, and conducting from Temple University and the University of Minnesota. Walter currently serves as Director of Contemporary and World Music at the Basilica of Saint Mary. Before coming to Minneapolis in 2004, he was a faculty member/accompanist at the nationally recognized Chicago Children's Choir Academy, an interracial and multicultural choral music education organization promoting musical excellence for children grades 4-8; and DePaul University Community Music Division, where he provided private piano instruction to mostly African-American and Hispanic foster children ages 8-12, mentoring children and promoting increased confidence and self-worth through weekly lessons and periodic performance opportunities. A highly sought after accompanist, vocal coach, and musical director, he was also Assistant Organist/Choral Director at Saint Clement Church in Chicago. Mr. Tambor is a graduate of the University of Notre Dame and DePaul University.